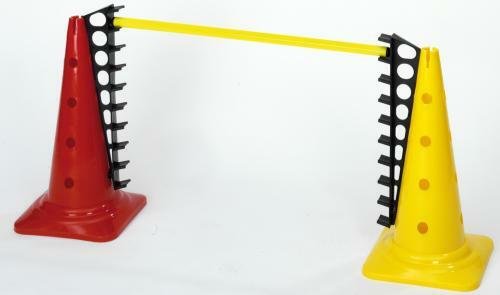 To be used as high jumps, mini hurdles etc. \n Just hang up the variable pole holders and hurdles \n (10-50 cm) can be built. Thereby the poles only rest \n upon lightly and fall with light contact. That means \n no fear of accidents.